Search Engine Optimization (SEO) is something that has grown in complexity along with the Internet itself. What was once something that was easily manipulated by using quick and dirty tactics has evolved into an organic system that uses a combination of secret as well as known metrics to analyze and prioritize sites that will be presented to internet users as query results. By leveraging those various known metrics and employing some best-practices that have been shown to work in the past, site owners are able to improve search rankings in order to drive useful traffic to their websites. These SEO methods have tended to focus on five broad concepts related to various facets of web design and also act as a basic guide for usability. 1. Use Relevant Keywords – Proper keyword use and placement is not just a good method of communicating information related to web content with internet spiders, also known as web crawlers, but also with users. 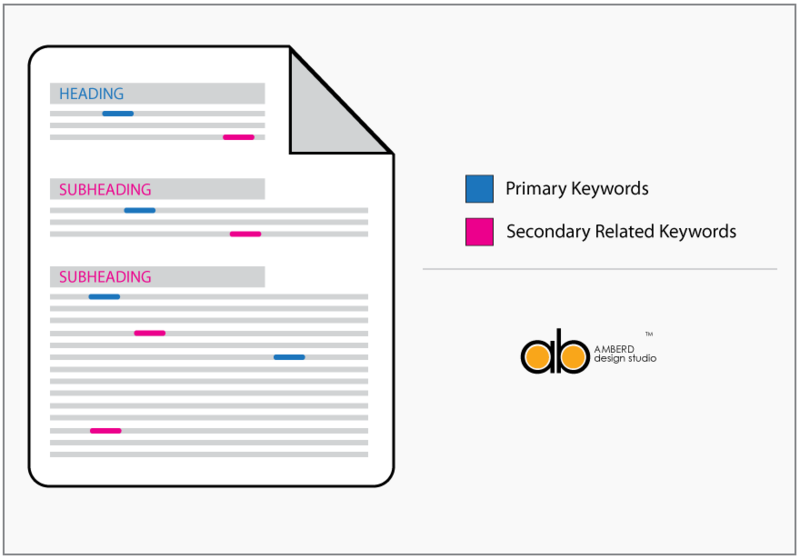 Through the appropriate use of keywords in both of these areas, it is possible to directly affect what keywords will lead users back to your site and can make the purpose of a page obvious. 2. Streamline Organization – The hierarchies you use in the design of your site have a larger impact than your ability to simply locate pages you have created. Using intuitive systems also helps users and web spiders to efficiently navigate through a website. This is accomplished through the use of breadcrumbs and utility bars with interactive elements such as drop-down menus that can make navigation to any page on a site possible with a single click. 3. Add Substance – One of the most salient developments of SEO in recent years is the ability for search engines to incorporate substance-weighted ranking. Many of the standards that are applied to substance focus on ensuring that informative and helpful webpages are returned in queries, rather than those portals designed solely for keyword optimization. Avoid Keyword Stuffing – Anything over a ten percent keyword density may run the risk of being classified as spam. All text should seem natural and a more common percentage is between one and seven. Avoid Content Ambiguity – All content on a website should be relevant and related to a single theme or topic. There should be no question as to the purpose or focus of your site. Observe Grammar and Spelling Rules – You should ensure there are no grammar or spelling errors on webpages. Errors can be off-putting to users and they waste space for words and phrases that can be otherwise optimized. Promote Freshness – Search engines take into account how long it has been since a document has been updated. By updating old pages and adding new ones, your site is made to look actively maintained. Use Unique Content – Search engines rank pages according to whether you are re-publishing data or creating unique content. By making new content available, you can give users a reason to visit and return to your site in addition to increasing results from Google or other similar providers. 4. Effectively Employ Interactive Elements – There are many elements of website design that are displayed in ways that are best suited to either web crawlers or users themselves but rarely are they beneficial for both. Every square inch of a webpage has the potential to increase or decrease page ranking as well as usability, and a healthy compromise between visually compelling elements and informative text must be achieved. Mobile optimization – A large swath of the populace, well over half by at least one estimation, is connected to the internet via smartphone. By tailoring your content to this platform and providing alternate .mobi versions of your site, you can ensure you are not excluding consumers out of hand. Business directory submission – The internet is rife with services that sort and organize local businesses for internet users. Submitting information to sites like Google My Business or Yelp can help generate links while also making you more visible to consumers. Social media – Social media sites like Facebook, Twitter, LinkedIn, and published blogs all provide a medium for contact, both with search engine crawlers as well as the consuming public. There are few tools available that are as effective at getting your products or services to the consumer as social media. Very little in regard to SEO comes from direct insight provided by those major search providers. As such, webmasters and business owners have had to rely on inductive analysis to inform them of the best way to go about staying visible on the Internet. To make the task of optimization even more daunting, Google alone has a long history of updating their sorting algorithms with new features that drastically change the way the process works, as happened with updates labeled Penguin, Panda, and Hummingbird, just to name a few recent ones. These changes force many websites to revamp their approaches entirely. Keeping up with the ever-shifting trends of usability and optimization means that webmasters regularly have to adapt their approaches, and by focusing on SEO, it is possible to also have a positive effect on usability.